The annual series of six major collector car auctions that play out over a week each January in Arizona came to a conclusion last Sunday, with more than 2,800 vehicles changing hands for a record total of nearly $250 million. The consignments included the usual array of European classics that fetched multimillion-dollar prices, including an $8.8 million Ferrari; there were even surprisingly strong prices paid for American collectibles, like $3.85 million for a 1967 Chevrolet Corvette L88 coupe, or $2.86 million for a ’69 L88 convertible. 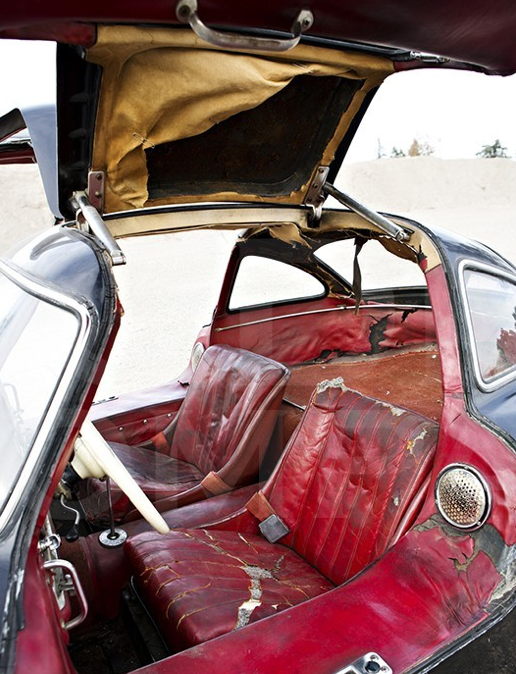 and a rotted-out 1956 Mercedes-Benz 300SL Gullwing that went for $1,897,500 – prices that were higher than pristine examples of these cars might be worth in today’s quirky collector car market. (In fact, a beautifully restored 300SL went for $1.4 million at the same auction!) 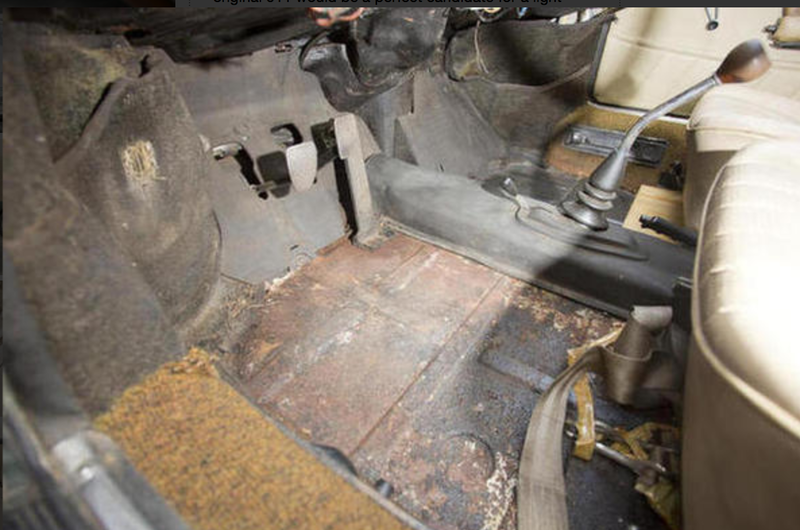 Even an abandoned, rusty 1965 Porsche 911 that was dismissed by some as little more than a “parts car” sold for $116,600. So much for the mongrels! The mixed breeds included a Lagonda with a Chevy crate motor, as well as a wide array of resto-mods (i.e. old cars powered by modern replacement drive trains). Other offerings included cars from the 1970s and 1980s that not long ago might have been more likely found on used car lots. 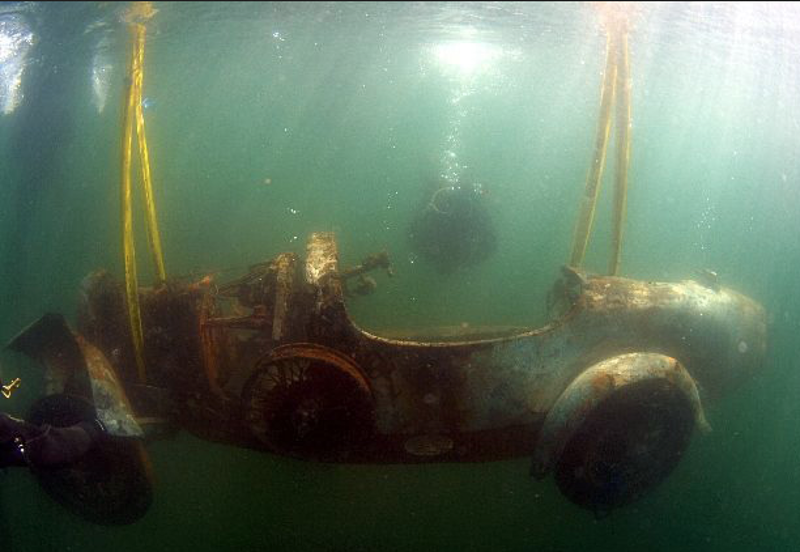 There were even the first SUVs offered in memory – among them, an old International Scout and a Toyota FJ40. Can minivans be far behind? The problem is, such a restoration effort might cost hundreds of thousands of dollars – and might actually make the cars worth much less than was just paid for them. To a collector, originality is becoming an ever-more highly prized attribute. “You look at the cracked leather of an old seat, and ask, ‘Who sat in that seat?’ or look at the steering wheel, and think, ‘Whose hand was on that very wheel?’ ‘Whose fingerprints are still on it?’” said museum owner and noted collector Peter Mullin of Los Angeles. 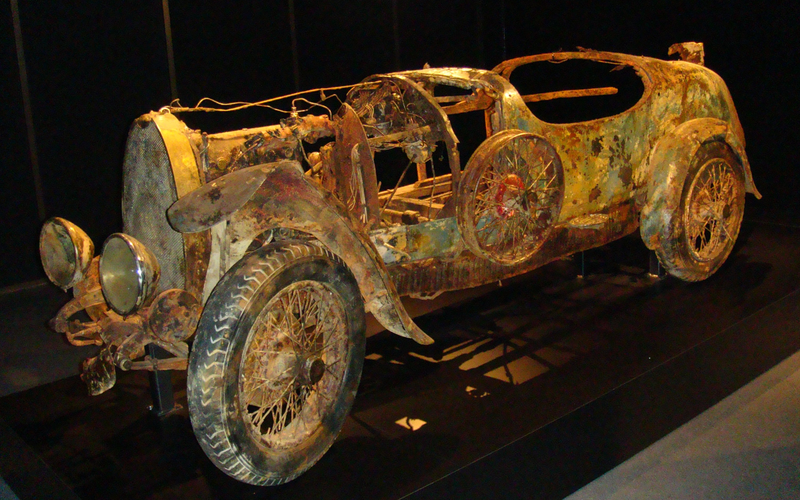 His collection includes dozens of original, unrestored vehicles, including a 1925 Bugatti Brescia which he displays in the horrific condition in which it was fished out of a Swiss lake after 73 years. 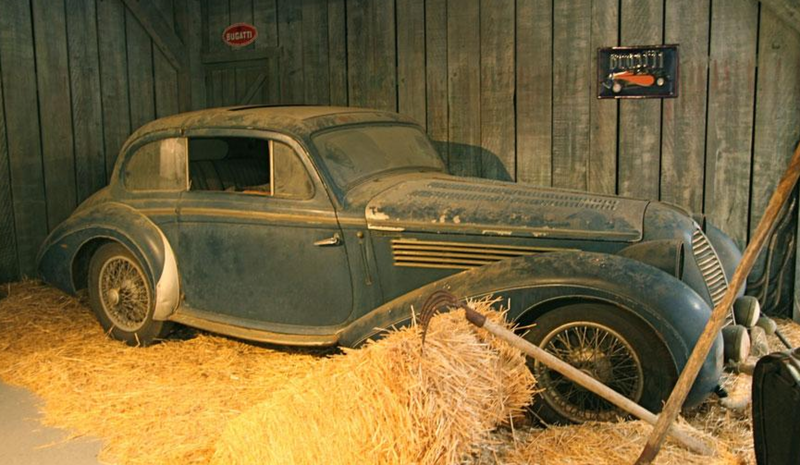 He also has a 1948 Delahaye 135 MS, which was found in a barn; so, he displays it in his museum the way it was found. Indeed, for the past decade or more, the prestigious Concours d’Elegance in Pebble Beach, California, has been hosting increasingly well-subscribed Preservation Classes. But would Pebble Beach welcome the type of cars that were auctioned in Arizona? 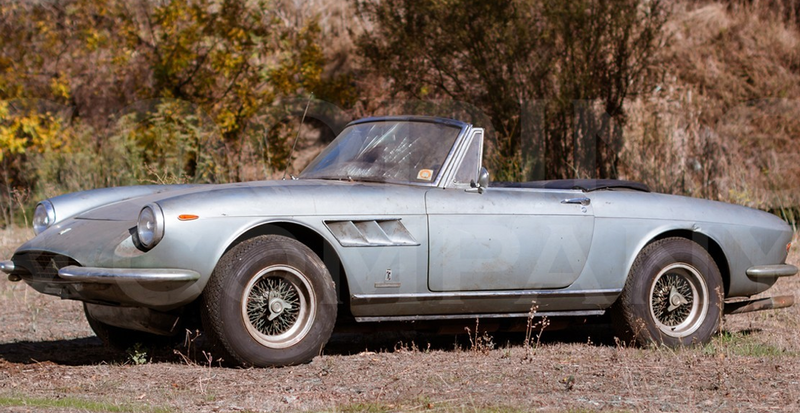 It would be a hard argument to make that either the sooty Ferrari or the ratty 300SL or even the tatty 911 sold in Arizona have histories worth preserving behind them. They appear to have been just shoved into garages by their respective owners and ignored for decades.